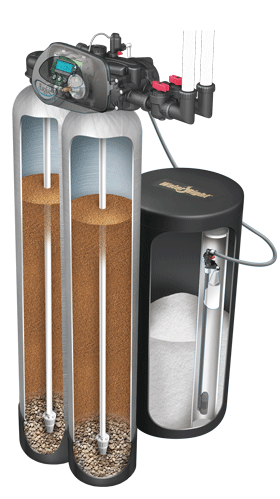 Our Evolve Series series softeners are engineered to provide the perfect solution to your water needs. With advanced technology and eco-friendly features, you can enjoy peace of mind knowing that you're bringing the best system into your home. Softening water is just the beginning for the EVR. 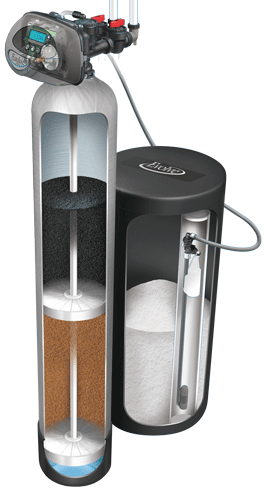 It's also a self-chlorinating unit that delivers and maintains a higher level of water quality, eliminating unwanted tastes and odors. Our patented IQ2 controller allows your EVR system to be fine-tuned specifically to your water treatment needs. 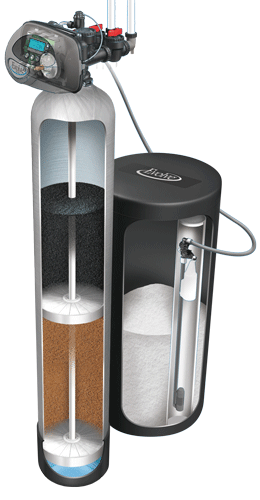 The result is a high-quality water treatment solution that saves you water and money. The EVR water softening system is also compatible with our exclusive Water Efficient Technology, W.E.T.™, offering maximum efficiency with additional salt and water savings. You can also add our advanced WiFi technology or Wripli® to your system. Wripli® helps you conveniently monitor your water habits, tracking how much money you've saved, sending salt alerts, and more! The EVRC utilizes split tank technology to safeguard your plumbing while eliminating unwanted tastes and odors from your water. With its high-performance resin media and activated carbon configuration, the EVRC is the ideal solution for reducing hard water while controlling other problems associated with city water. For even more efficiency, the EVRC system is also compatible with our patented Water Efficient Technology™. With W.E.T.™, your system will save you money on salt and water without sacrificing performance. You can also add our exclusive WiFi technology, or Wripli® which helps you wirelessly monitor your water habits, including how much money you're saving, salt usage, and more! With the EVRS, unwanted minerals and hardness don't stand a chance. This system assures your plumbing and water-using appliances will operate at peak efficiency. Featuring Evolve Series's patented IQ2 technology, this system is the newest in green technology, using less water and salt while maximizing overall performance. You can also add our patented Water Efficient Technology, W.E.T.™, to maximize the overall efficiency of your EVRS softening unit. With W.E.T.™, your system will save you even more money on salt and water without sacrificing performance. 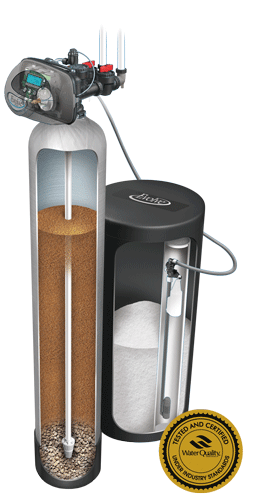 The EVRCS utilizes split tank technology, combining two types of media in one convenient tank. It gives you control over odor and taste problems common to city water while delivering the clear, soft, odor-free water your household deserves. To further maximize your water softening system's performance, consider adding our patented Water Efficient Technology™. With W.E.T.™, your system will provide additional savings on salt and water without sacrificing performance. Around-the-clock schedules and busy lifestyles require more water and more capacity. That means high-quality water must be available when you want it and need it – 24 hours a day, 7 days a week. Evolve Series Twin softener systems do just that, by connecting two units as one complete system. You can also try our patented WiFi technology, or Wripli®, which helps you monitor your water habits, including how much money you're saving, salt usage, and more – all in a convenient, wireless setup! 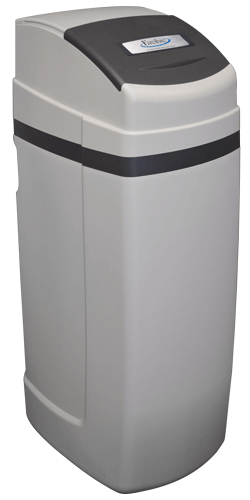 If you want all of the features of a high-performance water softener, but have limited space in your home, then the Evolve Series cabinet softener is the perfect solution. Get all the advancements of Evolve Series series softeners in a self-contained cabinet unit.